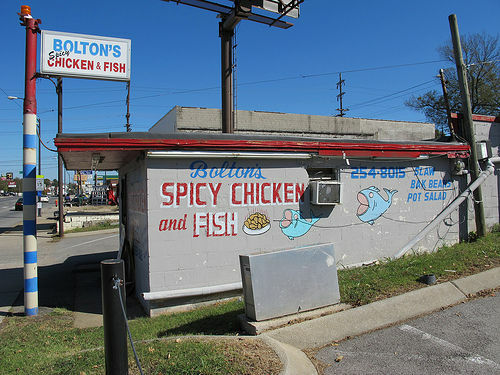 Casual and kind of greasy, like all good hot chicken joints. Itâ€™s a pretty small place, so they offer super fast to-go services! Find outÂ â€œhow hot is too hotâ€ with aÂ fried chicken eat-off with your most competitive friend. Two things there worth trying, theÂ Fried Chicken and theÂ Catfish Sandwich. NEIGHBORHOOD: Berry Hill/Melrose is an up-and-coming neighborhood thatâ€™s being constantly transformed. New places are springing up all the time, but the local flavor is a mainstay. Filled with dives, quirky retail, & quality coffee (among other things), Berry Hill/Melrose is the place to make memories, and always brings out a diverse crowd!